The Chatstack Windows Desktop application allows your live chat operators to provide efficient and immediate customer service to your web site visitors. The application allows you to easily chat with your site visitors from within a Windows Desktop application rather than using your web browser. 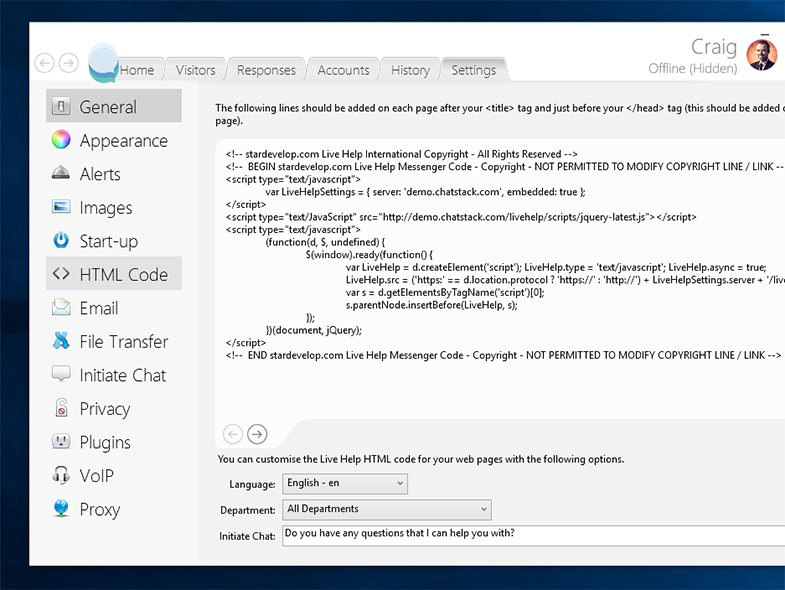 Once an operator is logged into the Chatstack Windows application they can chat with web site visitors within a tabbed chat window. When using the Chatstack Windows Desktop application, your operators have the ability to support multiple site visitors at the same time. When using the Chatstack Windows application you can easily setup an unlimited amount of live chat operators and departments. The Chatstack account management area is shown below. 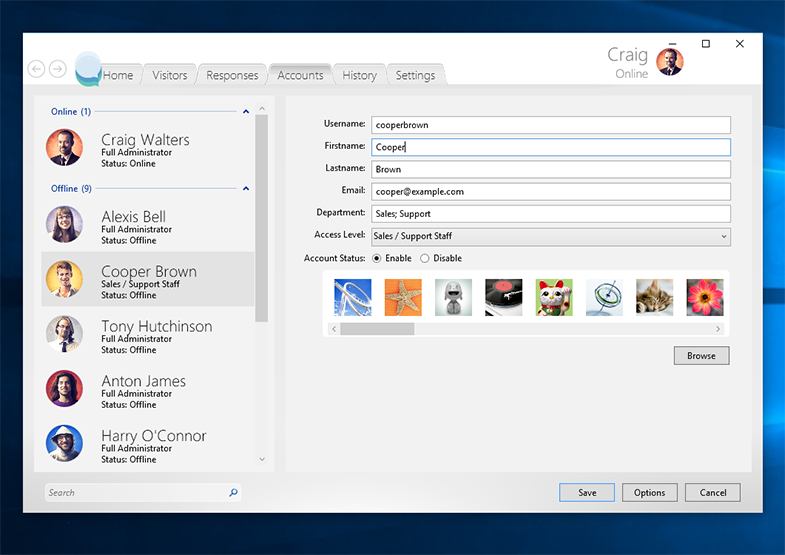 Chatstack operator icons allow your customer service and technical support operators to quickly sign-in to the Chatstack Desktop application via. a simple, efficient user interface. In addition, you can easily switch operator accounts and setup the Chatstack application to automatically sign-in to Chatstack as required. When site visitors request live chat and send messages to an operator, flashing task bar window alerts, popup alerts, and sound alerts will allow the operator to respond to live chat requests efficiently. These enhanced alerts allow you to improve your customer response times and increase overall customer satisfaction. Using the Chatstack Windows application you are able to easily accept incoming chat requests within the pending chats list. You are also able to accept chat transfers and open existing chats that are assigned to you. 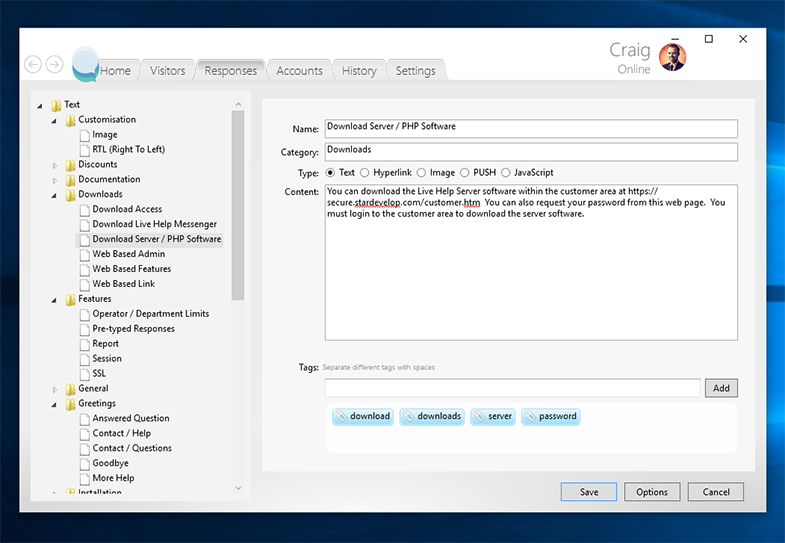 The Chatstack Windows application is very simple to download and install on your Windows PC. You can easily support users while performing your general business duties, without losing potential sales and revenue. Within the Chatstack you can easily customize the images, such as the Online, Offline, Be Right Back, and Away images. You can also change the chat window logo, campaign image / link, fonts and colors etc.